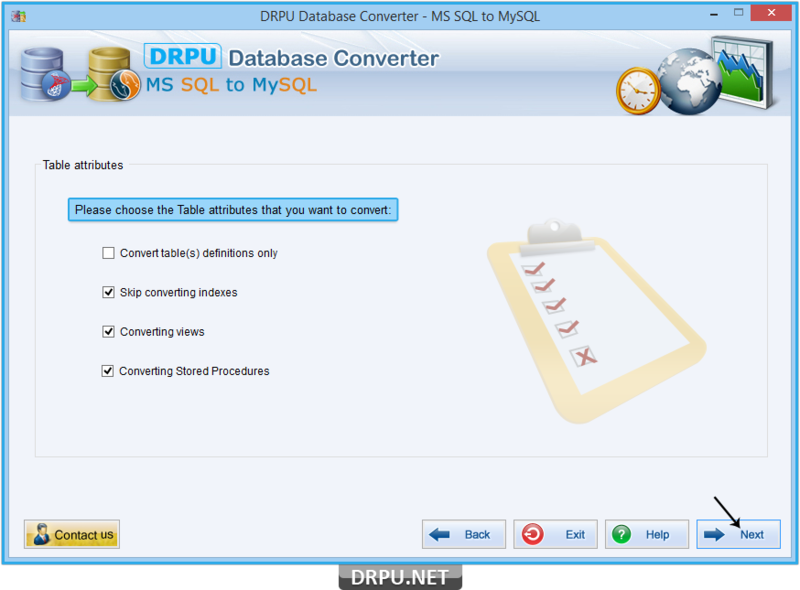 Select table attributes such as convert table(s) definitions only, skip converting indexes, converting views and converting stored procedure. 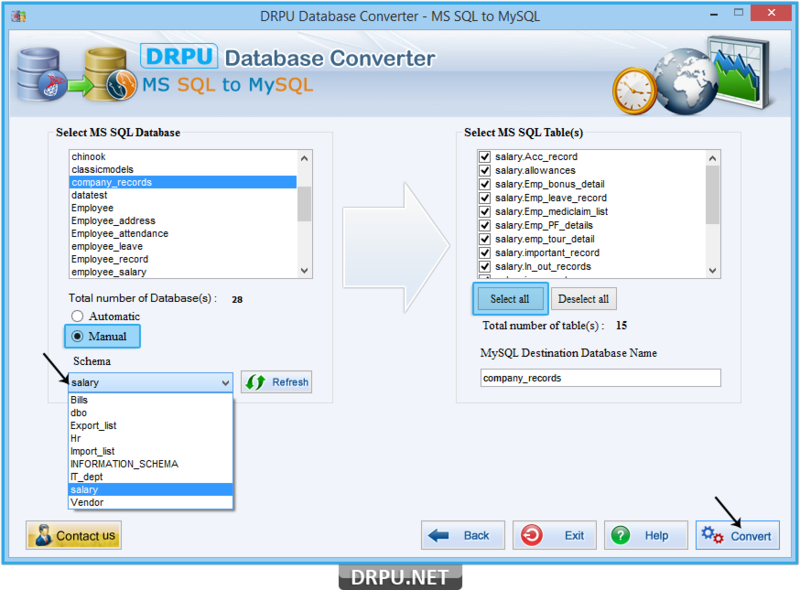 Select MS SQL database and select desired or entire table(s), choose “Automatic” option (select schema items automatically) and then click on “Convert” button. 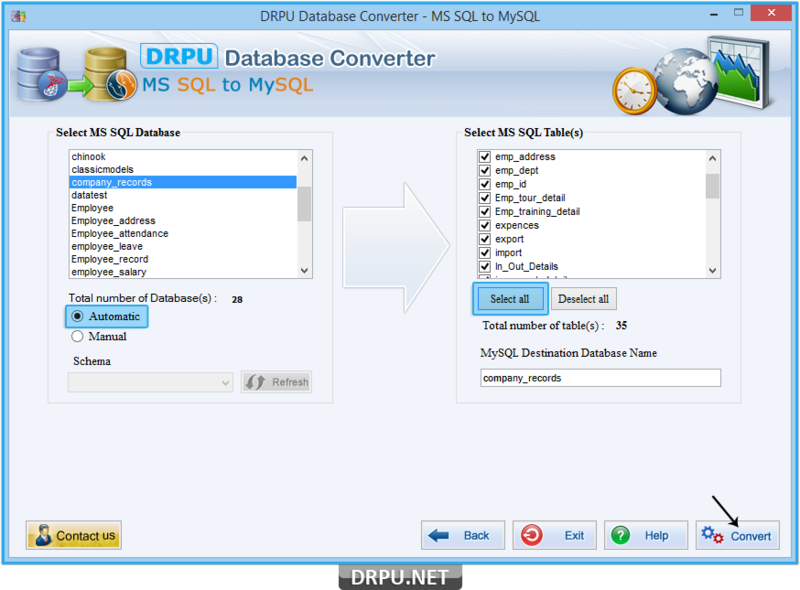 Use “Manual” option to select schema manually. 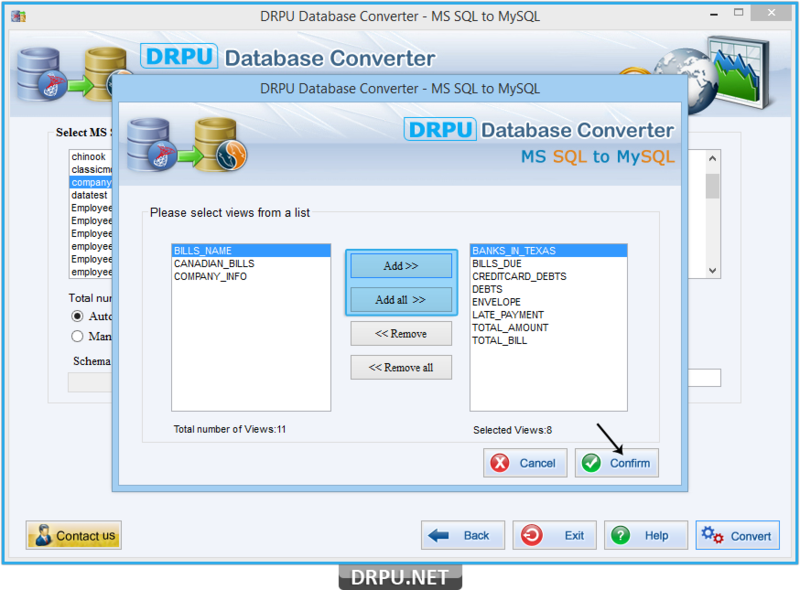 Select views from list and add using “Add” button, now to continue press “Confirm” button. 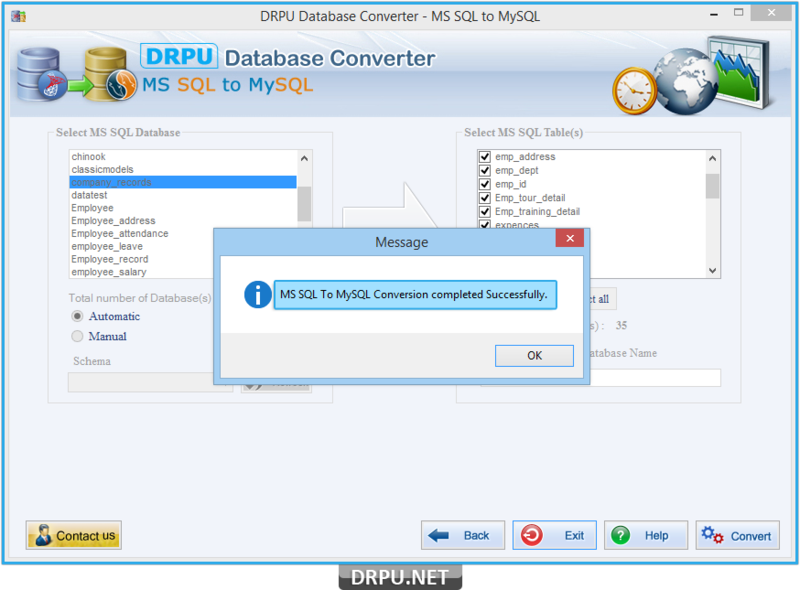 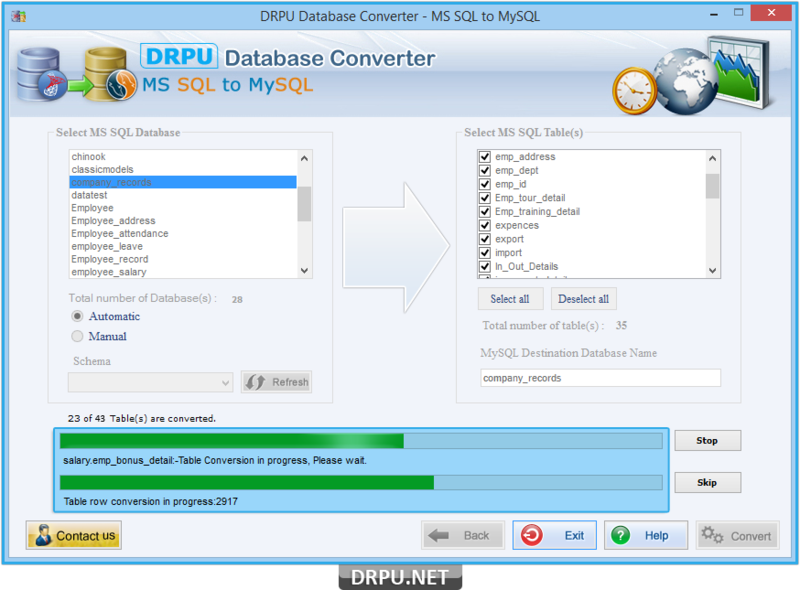 Screenshot shows current status database conversion process.